Welcome to another installment of Wrestling Do-Overs, here at Enuffa.com, where I'll take a famous wrestling event or angle and reimagine it the way I would've booked it. 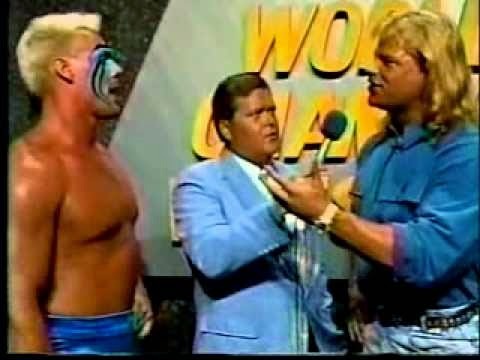 Today I'll pick apart the 1989 edition of the NWA's flagship event, Starrcade! Starrcade '89 took place on December 13th (a Wednesday - what an odd night to do a PPV) at The Omni in Atlanta, GA. The strategy to make this event stand apart from all other PPVs was to hold two simultaneous round-robin tournaments, one for singles wrestlers and one for tag teams. The winners of each tournament would get.......bragging rights I guess? There was never a tangible prize at stake, which right away raised a red flag. Still the concept was intriguing and allowed us to see a handful of first-time matchups. Sting won the singles tourney while the Road Warriors won the tag team round-robin. On paper there are some top-flight matches here, to be sure. Flair and Sting were the top two babyfaces at the time and their alliance added a new dynamic to this matchup. Flair vs. Luger took place at the previous year's Starrcade but now their roles were reversed which made this bout different from the last. Hawk & Animal vs. The Steiners was a major dream match as both teams were wildly popular and dominant. Even Flair vs. Muta looked great in theory. But here's why this card didn't really work for me. 2. Fifteen-Minute Time Limit - Such a restrictive parameter might work for a lower-card match like Doom vs. The Samoans, but it proved a hindrance to a main event bout like Flair vs. Sting or Flair vs. Luger. Ric Flair was known for having a methodical, story-based style, and you can't expect a wrestler like that to shoehorn 20+ minutes of storytelling into 15 or less and still deliver a four-star match. With such a short time limit none of the matches were given ample opportunity to stand out from the pack, and the card just became a blur of mediocrity. 3. Dream Matches - A match like The Road Warriors vs. The Steiners should've taken place as a featured marquee bout and been built up for months. Think about it - these were the two biggest teams in the company facing off for the first time with basically no hype and nothing at stake. Oh, and on top of that they only got seven minutes. Another potentially awesome match was Flair vs. Muta. Too bad that match was over in a minute-fifty-five. 4. Nothing to Gain - These round-robin tournaments were put together without a defined prize. It was never announced that the winner would get an automatic title shot, or a big purse, or even a trophy. Nothing. So why should we care who wins? Also, why would Flair and the Steiners, respectively the World and World Tag Champions, want to participate in such a tournament? From a kayfabe perspective they each had to wrestle three times without even defending their championships, and risked getting injured. They already had the biggest prizes in the sport, so why would they want to be in a tournament like this? 5. Aftermath - Sting emerged victorious here and was therefore named the #1 contender, almost immediately causing a rift with his new allies Flair and the Andersons. The re-formed Four Horsemen would turn heel on Sting, sparking a new Flair-Sting rivalry and eventually resulting in Sting capturing the NWA Title. This was all fine, though I found it a rather safe, unimaginative turn of events. I would've preferred for a heel Lex Luger to win this tournament and feud with babyface Flair because it would have been something different. The way the company booked early 1990 felt like a reset to 1988. But at least winning this event had some significance for Sting. On the other hand the Road Warriors won their tournament and went right back to feuding with midcard teams like The Skyscrapers and Doom. No title shot, no renewed push. Doom lost all three matches at Starrcade and got trounced by the Road Warriors in their feud, but then dethroned the Steiners for the NWA Tag belts the following May. So the tag team tournament had no greater consequences whatsoever. 6. Miscellaneous - The New Wild Samoans were a last-minute replacement for The Skyscrapers, when Sid Vicious sustained a punctured lung. That's all well and good except that all four teams in this tourney were big power teams, which made the tag team portions of the card very monotonous. Why not sub in The Midnight Express to introduce some variety and guarantee that at least three of the tag matches would be good? Also, The Great Muta got absolutely destroyed on this show - three losses over a combined running time of 14:51. Think about that: Muta lost three matches inside the single-match time limit. That's just sad. I know he was on his way out of the company, but he was one of the best workers on the roster. Why wouldn't you at least get three quality matches out of him? One last thing - how did Flair vs. Luger get an extra two minutes before ending in a time limit draw? So how could we improve on this conceptually intriguing but ultimately unsuccessful PPV? Well for some of our answers let's back up about a month to the Clash of the Champions: New York Knockout event. This free television special featured one of the NWA's best matches of 1989 - the blowoff I Quit match between Ric Flair and Terry Funk. Knowing that the top PPV of the year was only a month away, I'd ask the question, "WHAT IN GOD'S NAME ARE YOU THINKING??" Why would you give away the blowoff match to one of the year's biggest rivalries on free TV rather than at your flagship PPV? This is baffling to me. The biggest PPV of the year should feature one of the biggest main events of the year. By the very nature of its format, Starrcade '89 had no main event and no real feuds being settled. So let's take Flair out of the singles tournament at Starrcade and make Flair vs. Funk the main event of the PPV. Use the Clash special to hype the blowoff match and make Luger vs. Pillman the main event of that show. Flair and Funk would have the exact match they did in reality; I wouldn't change a thing about the bout itself. This match is the stuff of legend. Next up, let's pit new NWA Tag Champs The Steiners against an accomplished, well-respected team that a) would help make them look like a million bucks in a stupendous match, and b) were just reinvigorated by turning heel at Clash of the Champions. I'm talking about the Midnight Express. How Eaton and Lane were omitted from the Starrcade card is beyond me. But in my fictional universe I'm booking The Steiners vs. The Midnights because it would be a breathtaking tag match. It wouldn't be a late 80s NWA PPV without The Road Warriors, so in my version of Starrcade they'd challenge the new dominant team Doom. This feud would happen in 1990 anyway, but by booking the match at Starrcade Doom still has some momentum after defeating The Steiners at Halloween Havoc. I'd keep this one somewhat short and hard-hitting. Maybe a good 9-11 minutes. As far as the round-robin tournament, let's nix the tag team edition, since it had no impact at all on the division. We'll keep the singles tournament though, and explicitly state that the winner becomes the #1 Contender. The participants are now Sting, Lex Luger, The Great Muta, and Brian Pillman (who had taken Luger to the limit twice in US Title matches). The Road Warriors-Doom match is next and runs around 10 minutes. It's a wild brawl that ends in a double-disqualification. The Tag Title match is next. The Steiners win a Match of the Year candidate at the 19-minute mark. Muta vs. Pillman is up next. Pillman can clinch the tournament with a win here. This match is a superb and suspenseful aerial battle. At the thirteen-minute mark Muta ducks the Air Pillman flying clothesline and scores the pin with a small package. Muta - 20 points. The tournament all boils down to Sting vs. Lex Luger. A pinfall or submission wins the whole thing, a countout ties the winner with Pillman, and a DQ or draw gives Flyin' Brian the tournament. Sting and Luger have a main event-caliber back-and-forth slugfest that runs almost to the time limit. After fourteen minutes Luger hits the powerslam and puts Sting in the Torture Rack. Sting withstands the move for a full thirty seconds but refuses to submit. Sting yanks Luger's hand off his chin, falls behind him, and rolls Luger up for the pin and the tournament. Sting - 40 points. **Note** Earlier I said that if I'd had my druthers I'd have given heel Luger the tournament and had him feud with babyface Flair for a while. I still think that would've been the best course of action (especially since Sting would be out six months with a knee injury). But that would necessitate rebooking the first half of 1990 and that's not what this column is about. Wherever possible I'll keep the results of a single event as close to real life as I can. So Sting wins here and becomes the #1 Contender, and then in February of 1990 The Horsemen turn on him. The two heirs-apparent to the NWA main event scene. With the babyface Sting winning the tournament that now creates suspense for the main event, as Funk would now be seen as a threat to Flair's NWA Title. Like I said before, I'd present the Flair-Funk I Quit match exactly as it took place. That's a fantastic main event, worthy of the company's biggest PPV of the year. After 18:33 of wild action Flair retains. Nine matches, all of them potential classics. Tell me this lineup doesn't work significantly better than what actually transpired. We still get a round-robin tournament with a clearly defined prize but we also get a huge main event to blow off the biggest feud of the past six months, plus a career-making match for the Steiners. That'll do it for this installment of Wrestling Do-Overs. Thanks for reading! Comment below and tell me what you think! 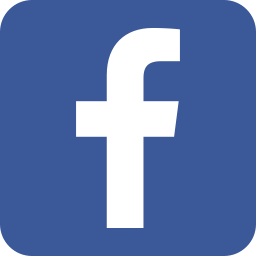 Join us on Facebook, Twitter, Google+ and YouTube!